UX and Project ManagementGuiseppe Getto, Ph.D. 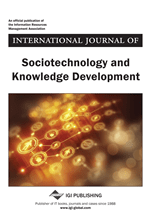 I recently edited a special issue of the International Journal of Sociotechnology and Knowledge Development on the topic of UX and Project Management. In Part 1 of this special issue, several scholars from the field of Technical and Professional Communication (TPC) provided new approaches to project management based on current workplace realities. Why Do We Need New Approaches to Project Management? As I explain in my editor’s introduction to the special issue, projects that technical communicators are responsible for are changing rapidly. Specifically, the design of digital products and services such as websites, mobile applications, enterprise software, intranets, and desktop software provides a new challenge for project managers. The projects behind these types of products and services require increased flexibility, adaptability, and cross-functional teamwork. These projects require us to think in different ways about what a project is, in other words, and how we can better manage key project management processes, including planning, team-building, inputs and outputs, outcomes, and deliverables. In “Agile writing: A project management approach to learning,” Joseph Moses presents an approach for using scrum that stands to contribute valuable new insights into how technical communicators build and manage cross-functional writing teams within academia and beyond. In “Communicating user experience: ‘Wicked’ problems, patchwork personas, and the ICTD project lifecycle,” Hilary Sarat-St Peter adapts the user experience method of persona development into an inventional activity for professional communicators who want to develop funded projects with stakeholders in the developing world. In “A study of a federally funded project between higher-ed institutions in the U.S. and Pakistan: Intercultural academic project management,” Anirban Ray, Colleen Reilly, and Jeremy Tirrell relate initial findings from a study of the challenges faced by project managers who are coordinating heterogeneous, distributed teams. Finally, in “Mapping the workspace of a globally distributed ‘Agile team,” Benjamin Lauren explores how the exigencies of physical spaces within organizations can be designed to support an agile workflow. For the full issue, visit the journal website: http://www.igi-global.com/journals/abstract-announcement/118534. If you’re an academic, please request that your library subscribe to IJSKD! And if you’re a member of industry, and want a copy of any of these articles, please let me know. Pingback: New Approaches to Managing UX Projects - Guiseppe Getto, Ph.D.Guiseppe Getto, Ph.D.